Become a Thayer Homes lender and join our mission to improve communities and lives. We buy homes in need of significant repair. Lenders are secured with a lien, protected by law. When the new home is sold, you cash out! Learn How Your Money Can Work For You! How private money lending works and how lenders are protected by US law. Who is eligible and what types of retirement accounts and other assets can be used to lend. How our family owned, buying, renovating and selling system is able to build more than 100 homes this year! 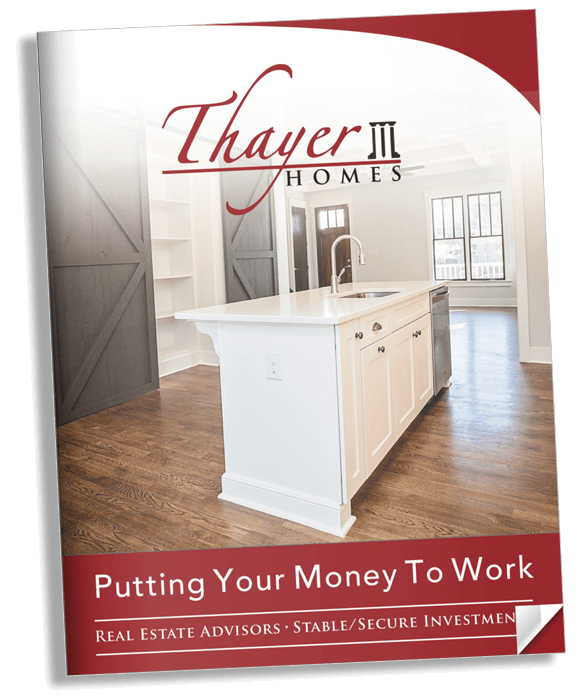 Enter your info below to get instant access to the 21 page guide, ‘Putting Your Money To Work‘, and learn more about how you can start earning as a Thayer Homes lender!